Did Harrenhall curse play any role in tragedies of Strong Velaryon princes and Stark Tully kids? Even Aemond's son failure could be result of this curse. It's one way to look at it, I guess. Although it would be a terrible curse then: they would have been conceived far from Harrenhal, never set a foot there, and were raised as members of a House unconnected with the cursed castle. I wouldn’t associate the fate of Rhaenyra’s children with Harrenhal. They had enough stuff working against them without associating them with an unrelated curse. The curse of Harrenhal caused the entire Dance. The Great Council took place there, cursing all the people attending, just as Lord Whent's tourney later set the stage for Robert's Rebellion and the aftermath. 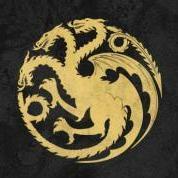 Both Viserys I, Rhaenyra, and Aemond later associating with people from Harrenhal could also explain how things went as bad for them as they did. It seems like that Littlefinger knew about this all, because its strange that a high lord like him doesnt visit his own castle for a short time. But i like the idea that i heard of an dragonfire (nucleair) waste. The bigger the dragon the stronger it is. Bellerion being the biggest and burndown and blacked alot of Harrenhall could be the cause of the curse. The only thing that make it less plausible is that Dorne was also set on fire many times, though we dont know what problems they have now. Rhoynar knew water magic and it is possible that type of magic can "heal" any collateral damages caused by dragonfire. So if Dorne still had water warlocks or witches around when those flyind WMDs burned castles then they could have minimized possible fallout. Interesting and its not said the Dornish are not lunatic or cursed. The Martells are the only house that we know of and sunspear did not burn. Though the watermagic you mentioned will likely be used only close to water and by the houses closest to the rhoynar. So many places have been burned by dragons but none seems cursed:Ghiscari cities,Tumbleton even the Dragonpit that housed the dragons.I think it is a case similar to the haunted places: Places many were tortured and died and seem to be cursed. Its not my theory but its said that only the biggest one born in valyria could to this not the almost birdsized dragon that lived after balerion, they would have been not more than fireworks. The nuclear waste would have gone into the stone of Harrenhall after burning and melting it for a long time. People who are living there for some time got the curse, not the ones that visit it. I dont know if in ghis there were still people living in those buildings. Tumbleton and the dragonpit were only little dragons with not even the fire to burn stone. I dont know which other castles were burned like harrenhall and could have a curse, we dont know for 100% if there is a curse. If there is a curse my only idea is the burning of Harrenhall by Balerion. Curse is less to do with a cahrssse then the fact it is too damned big. Ruinous to maintain. Recall, a large chunk of the lands were given to Darry.